Six days to go! And we still need your help to help voters. Also this week, a statue of Millicent Fawcett was unveiled in central London, so we looked at the gender divide by candidates for LE2018. And we’re winning at polling stations. We still need your help; every five minutes of crowdsourcing is useful! We realised that searching for contact details or a social media presence for individual local candidates is often fruitless, but searching for information on local party groups is much easier. So this is our main task at the moment. We’re populating this spreadsheet with local party information. The full list of local elections is here — look for one that isn’t yet in the spreadsheet and see what local party info you can find and add for that area. And we’re still collating hustings data — and individual data can still be added here. 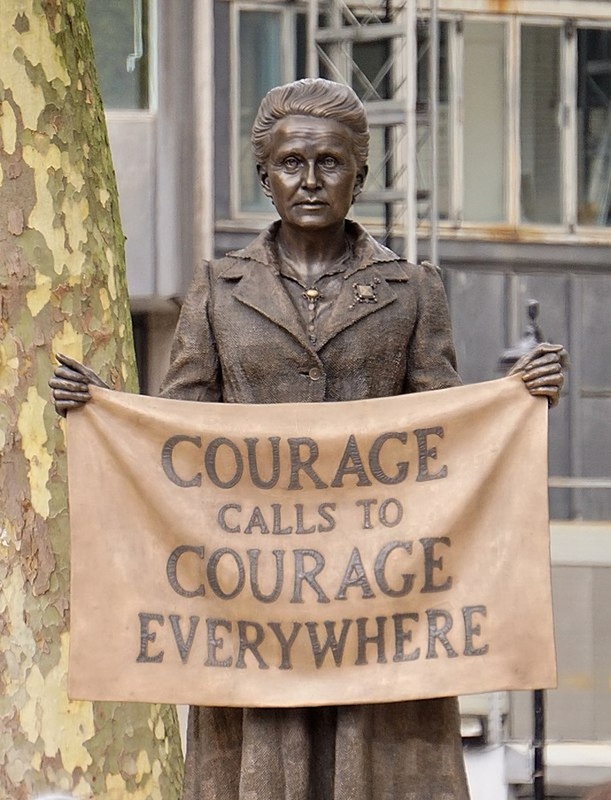 On Weds the great and good gathered to celebrate the unveiling of the first statue of a woman to grace Parliament Square: Millicent Fawcett, the campaigner for women’s suffrage. We were inspired to take a look at some of the gender stats from Democracy Club’s candidates data. There are ~16,070 candidates standing for election on 3 May. Of these candidates, 9,856 are men and 5,338 are women. That’s 62% men. 876 candidates had names that did not indicate their gender or the candidates have declared a non-binary identity. Of the major parties, the Labour Party (55% of candidates are men) and Green Party of England & Wales (57% of candidates are men) come closest to fielding a gender-balanced set of candidates. Of the major cities analysed, London is closest to a set of gender-balanced candidates, while in Birmingham fewer than 3 in 10 candidates are women. Want to run your own analysis? Get the data here. There are 152 local authorities with a scheduled election next week. We have polling location data for 🎉121 🎉of them live on the site now — and a few more in the pipeline! Surely this is now the point where we’ve proved beyond doubt that this is something voters need (think 2m+ uses last year) and this is something that local authorities want to provide. We’re always looking for advice on how to make this case to institutions — get in touch if you know more! We’ll be grabbing all the last candidate data we can, keeping the plates spinning, reminding people that they can embed this polling finder widget in any website, and generally hustling… expect some emails!